Where Do Adults Come From? 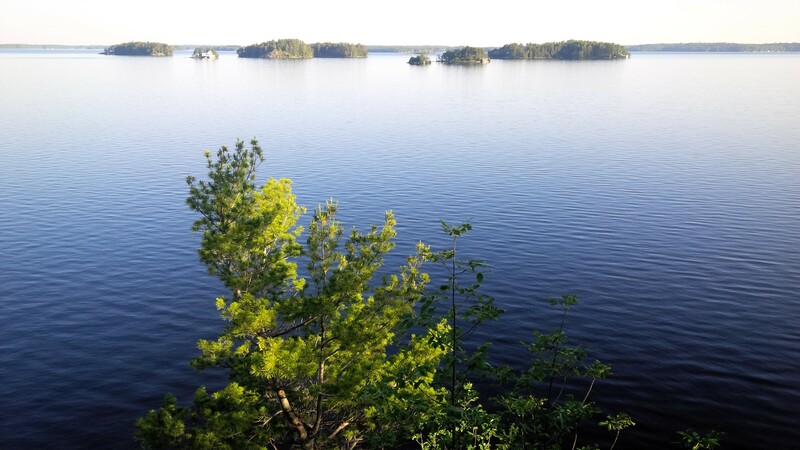 One morning this week I was sitting on the balcony of my hotel room watching the beautiful light of early morning fall on the islands of an Ontario lake, and I found myself in the blissful peace of childhood. 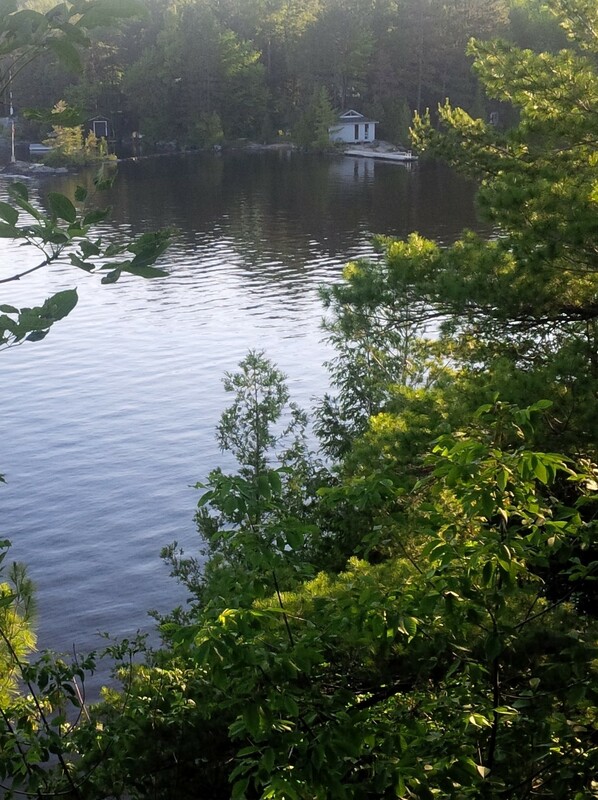 I grew up where my backyard was 300 feet of maple forest running down to a lake. So I found myself thinking about the boy who became me and what made him so happy in that environment. I think what that child enjoyed the most was being connected to nature, to the world we are a part of. When we stop and take the time to truly look at this world it is a marvel of creation. The diversity. The interdependencies. The abundance. The beauty. Within that though, young Ian knew that a life in the woods and on a lake was like the world’s biggest present waiting to be unwrapped. I loved to explore. I would wander the lakeshore from point to point, finding crayfish under rocks, fishing lures caught in trees, things washed up on shore. I would wander through the woods, watching birds and being amazed when I found one I had never or infrequently seen before. I would turn rotten logs and find all kinds of creatures to play with. I would ride my bike through old trails in the woods finding wonderfully yucky swamps and game trails and fungi and bunches of other things that captivate many kids. We would come across abandoned piles of lumber and other things that inspired imagination. I loved to assemble and build. By that I mean that whatever I discovered in my explorations became raw materials for my next adventure. Crayfish became bait for my fishing escapades. Fish became a dissection project (while I was cleaning them up for the dinner table). Fish fillets turned into an opportunity to cook. An ant colony became a biology project that first required building an ant farm to keep them in, and then it meant many trips back to the woods to find a queen ant that would sustain the colony. Piles of lumber became a treasure from which a tree fort appeared. Game trails started the imagination of the rabbits that ran along them and then a project to build a trap that would catch them alive to keep as pets in the tree fort. I loved to be a part of something bigger. We loved our team games, whether it was war games in the woods, street hockey, red rover, etc. We did projects together, each of us chipping in on the tree fort for example. The local bowling alley wasn’t automatic so someone had to reset the pins after they were knocked down. We would take turns doing that for each other so we could play cheaply. All those things are why I sat on the deck this week in a state of bliss. Because I loved doing them. And I still do. In their child form and in their adult form. You see, the things I love to do most as an adult are: to learn and discover, to build and combine, and to help groups achieve and move forward. I’m not so keen on doing the same things repeatedly or mastering a single skill. I’m more interested in watching new things emerge and to facilitating the success of others. I can point to things in my career that parallel rock turning, and rabbit traps and tree forts and bowling alleys. The fact is that the young Ian loved these things unreservedly as play. As I grew older I learned responsibility, and responsibility led me to learning skills valued by society, which in turn led to independence, and then to obligations, a sense of scarcity and an urge to compete for success. All of which began to mask and obscure my true passions in life. No time for play. Lots more work. At some point the child inside me asked to be allowed back to the surface. To be once again be allowed the experience of essential joy that we always had as kids. It is important for us to know where we come from, because in doing so we find our essential gifts. Those things that when we do them they create energy for us and therefore for those we work with and for. That understanding has led me to a process of reintroducing adult forms of learning and discovery, building and combining, facilitating and connecting back into my work life. Just knowing those are the things that make me happy is half the battle. It helps me notice why I might be a little down at times … because I’m not working on essential things. It makes me think more about delegating those things … to people whose passions are complementary to mine and actually get their joy from things that bring me down. It also gives me a sense of anticipation of future joys as I consciously move towards a consistent immersion in things I love to do. As a leader I am now much more conscious of this state, and it is now something I think about when leading others. What are their passions? Where did this kid come from? What joy can we return to their life? Sometimes a part of leadership is to help others understand this journey and begin the seeking process. Sometimes it is helping with the translation from childhood joy to adult employment. Sometimes it is facilitating role changes to better align personal and organizational fulfillment. Sometimes it is as simple as assigning tasks. So where did your inner child grow up? What made that kid happy that could make this adult re-engage that youthful bliss? What would it take for you to consciously do that? I love this and will remember to ask people about their childhood! I am also going to give some thought to what brought me joy as a child. Appreciate the feedback Diana. The knowing of our childhood with thought translates into the knowing of ourselves. We sometimes write this off as psycho babble but I can’t think of anything more important to our happiness today than knowing this. that brought back memories of simpler times. “THOSE WERE THE DAYS!” This is your sister btw! Thanks Karen. Simpler times are always available to us if we choose. That just happens to be a big IF! Ian…I am always deeply touched by your insight and tender telling of the story of your life. Inspired and informed and blessed…thank you. Thank you Kerry. In our work together you have taught me that we all have a story, and the true knowing of that story is an amazing asset! Thanks for your thoughts on this Nicci. The nature of the child inside all of us is fundamental to my thoughts on essential living and essential leadership. Two things resonate for me. First, those things that gave the child the greatest joy are probably expressions of our fundamental gifts and talents that, if released, will also allow for our greatest contribution. Second, the circumstances and the experiences of the child will have caused him/her to learn/adapt operating strategies that mask our fundamental gifts. Understanding that operating system allows us to step out from under it, still use the skills that version of the child learned, while letting our more essential nature run the show. This is an excellent post and quite pertinent to me at this time as I am exploring my higher unfulfilled needs and responsibilities. Part of the process (which I have not yet written about) has been to go back to my childhood and work out firstly what makes me happy, and secondly what makes me feel good about myself. I too have discovered the one thing that makes me happy is the peace and solitude of nature. The two things I have discovered that make me feel good about myself are being creative and helping people, mainly one on one. What I am stuck with in my current role and what I am actually doing are ‘maintenance’ things (maintaining things, picking up the pieces left by someone else, or fixing things). Whilst I know that some of that is required in any field, when it over-rides everything else it can become over-whelming and saps your life away. So since my ‘epiphany’ I have had a desire to change my life and get back to my inner core of being more creative and also a need to help people in some capacity.